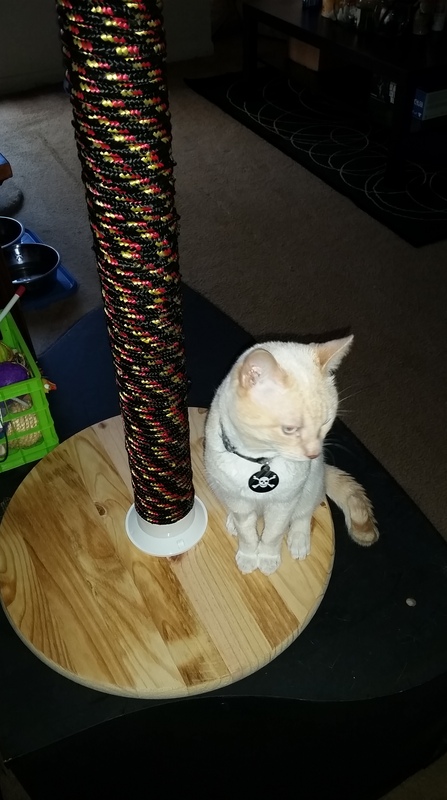 My total came out to $28 and change, but I do have enough rope left over for another scratching post (I measured). 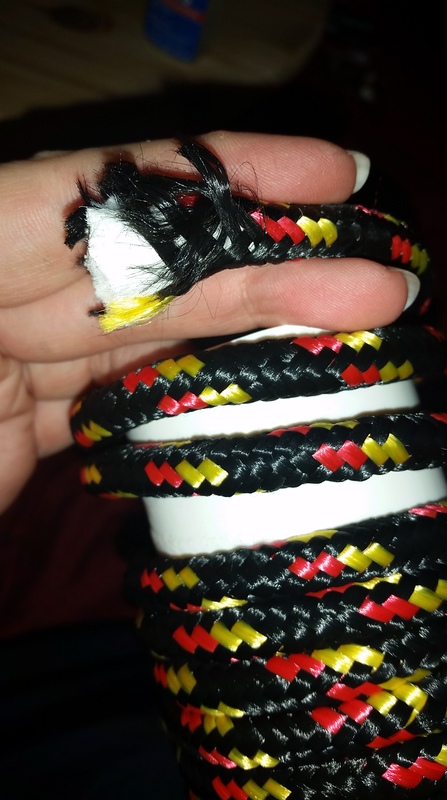 The PVC was a pre-cut 2 foot long by 2 inch diameter. There were whole cart fulls of pre-cut PVC. On the same aisle I picked up a 2″ cap for the top. 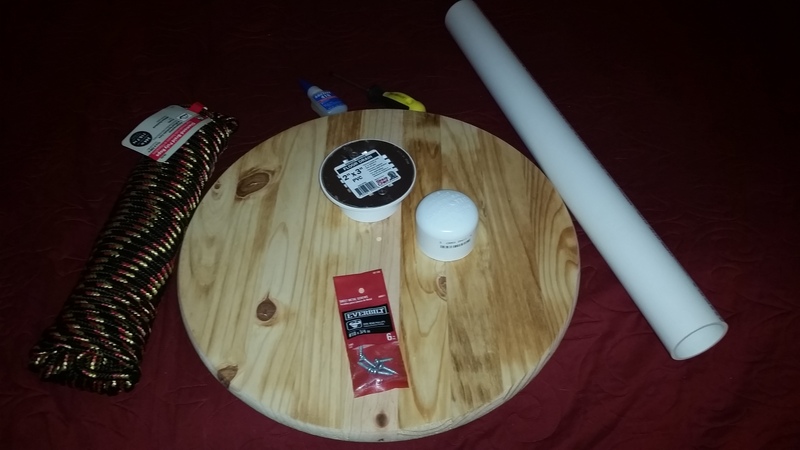 The round wood was already cut and sanded as well~ exactly what I needed for $4.88. This was in a bin in the lumber area. The screws are #10 x 3/4″. 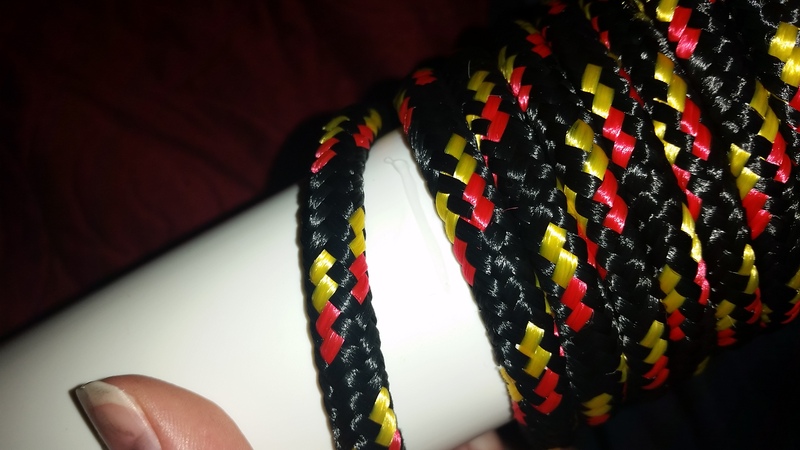 I bought a pack of 6, but only used 4. I determined the size of the screws by trying different screws through the holes of the drain. I made sure of two things: 1. 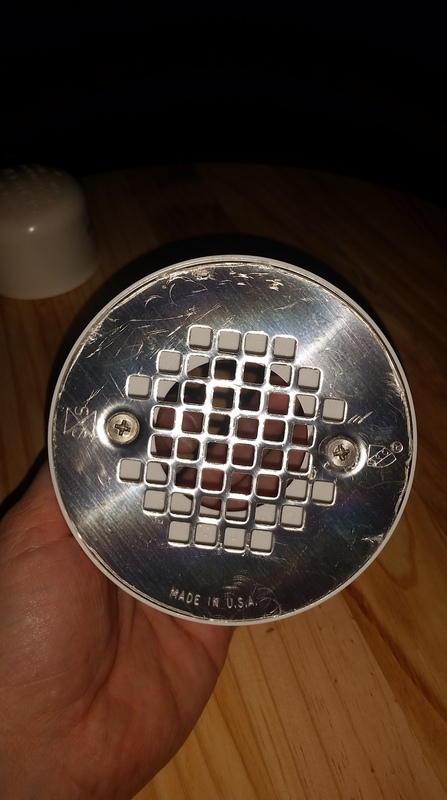 The head of the screw wouldn’t go all the way through the drain, and 2. the screws wouldn’t go all the way through the wood. 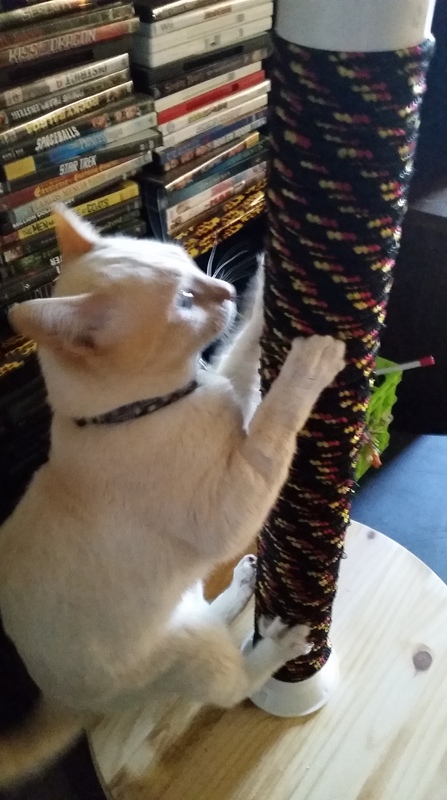 (My fuzzy morons are clumsy, and do tip over other scratching posts. I didn’t want any chance of cut paws). 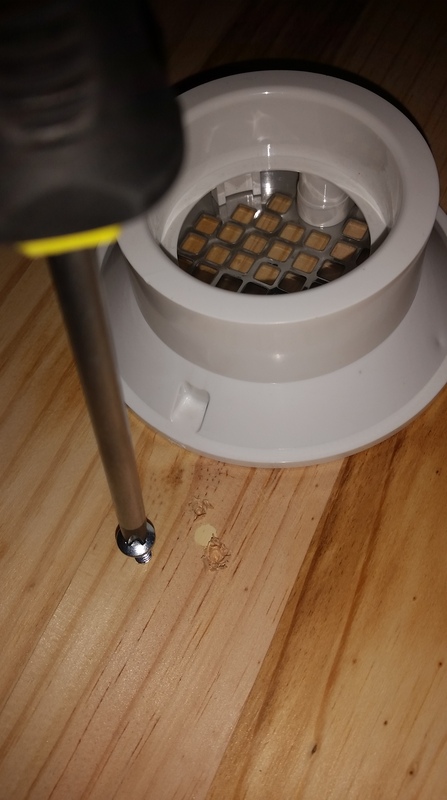 The round wooden piece actually has a little light colored plug to tell you where the middle is (once again, I measured to make sure). Once I had my center, I aligned the middle of the drain with the center of the wood. 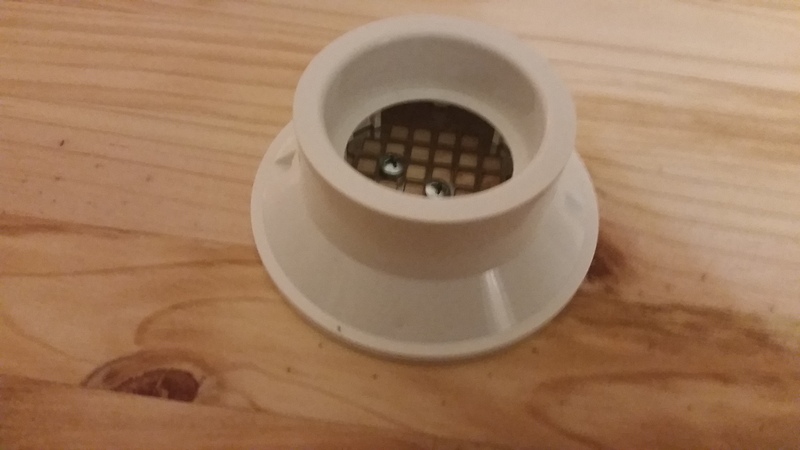 I used a screw to poke through the holes where I felt they would hold the drain in best, then moved the drain and started each screw. Sure, you could screw them straight through, but this helped alleviate any issues I might have with the drain moving out of place on me. 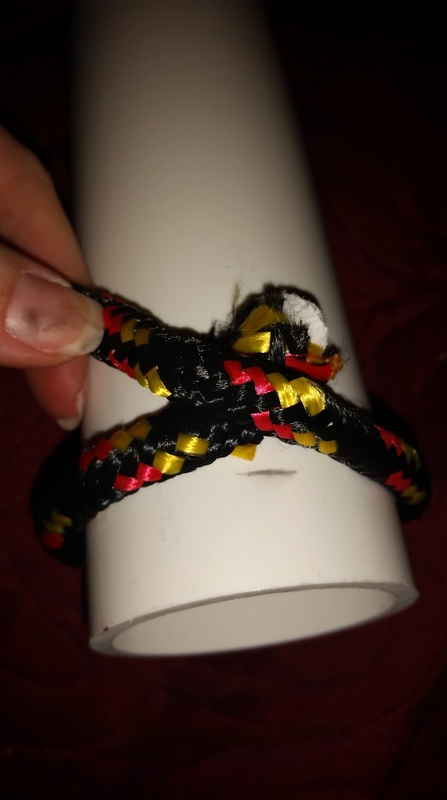 Before I started the rope, I put all my pieces together, including the cap and marked with a pencil where I needed to start the rope. Loctite glue doesn’t play around, so I wanted to make sure I left enough space at the top and bottom to insert back into the other peices. 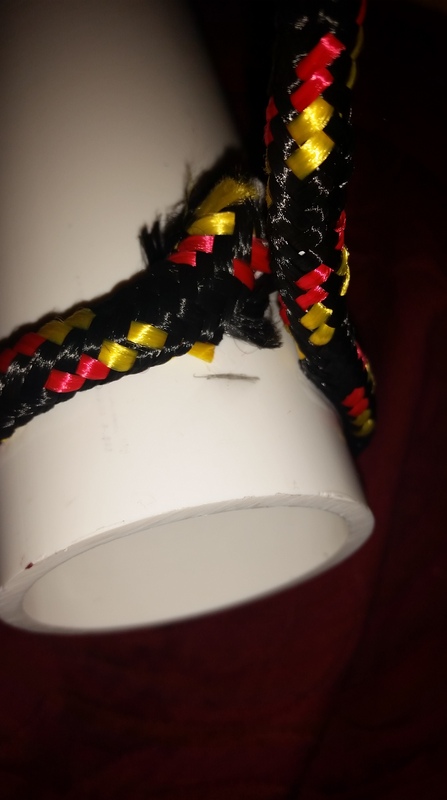 To start the rope, I put a little bit of glue slightly above my mark and attached the end. Loctite sets up pretty quickly. 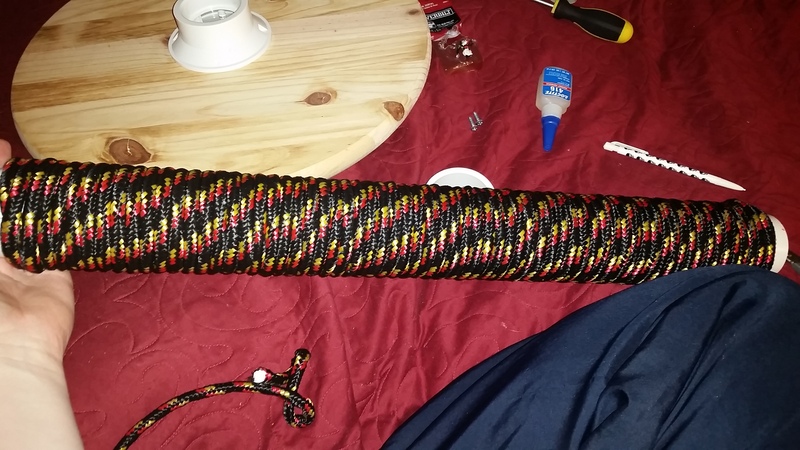 Once securely in place, I started wrapping the rope around and over the end. 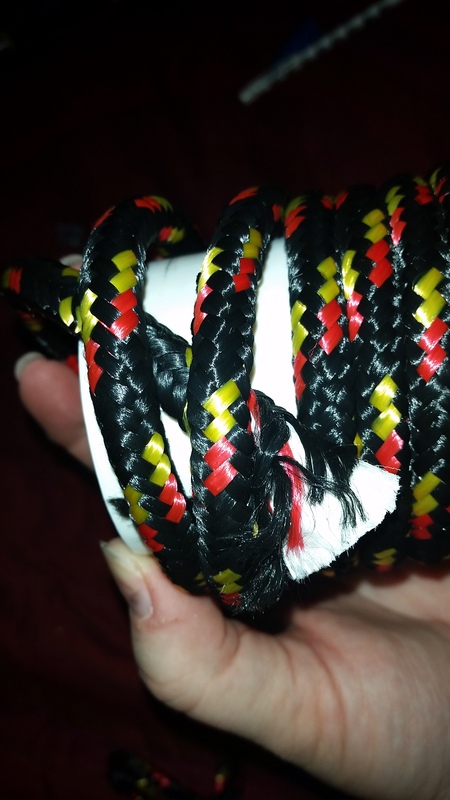 I intermittently drew long lines of glue as I wrapped the rope over the PVC. 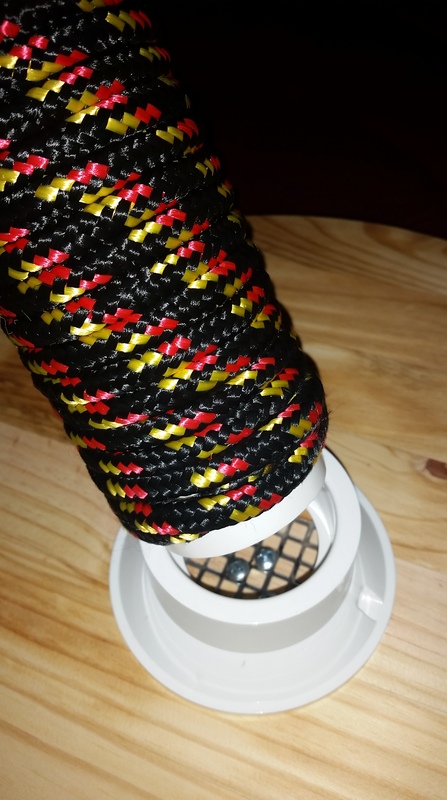 The rope was the most time consuming part of this project (other than wandering aimlessly around Home Deopt wondering where on earth to start). If you have any questions, I’ll be happy to answer them~ put them in the comments here, or feel free to find me on twitter or facebook. 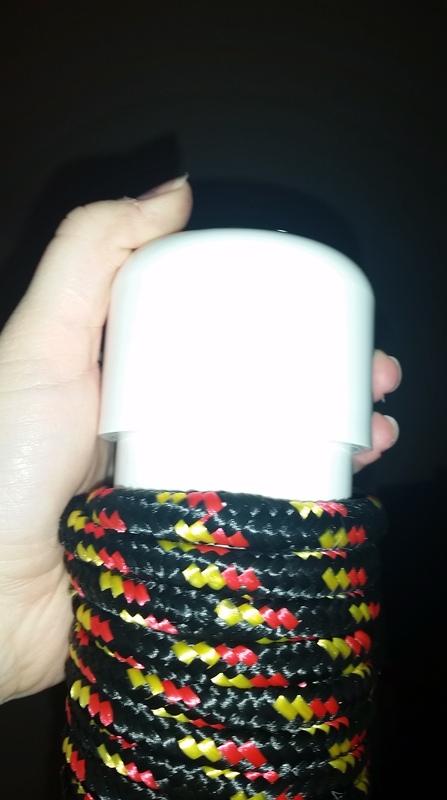 I’m certainly happy with the outcome of this project.